Even some big tourist kids got into the act. 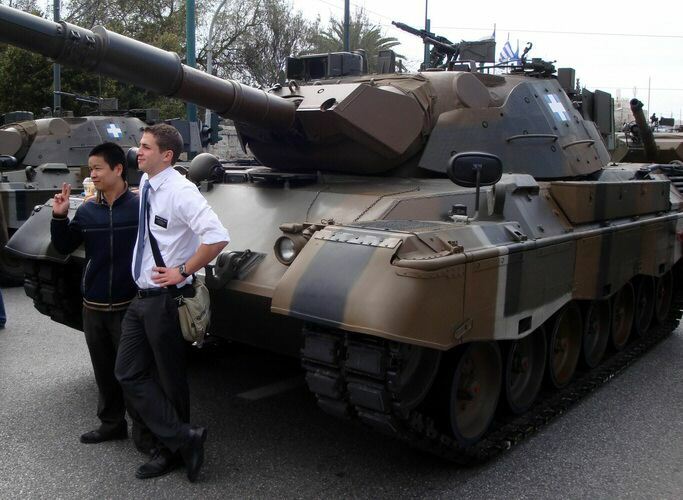 In the USA we just don't see very many tanks so it's a big deal to us. Sure they are instruments of death but they are big, powerful and impressive machines and when 50 of them suddenly rev up their engines its like going to a NASCAR race or a Black Sabbath concert.